I've posted some Super Snipes in the past. None were as nice as this one. 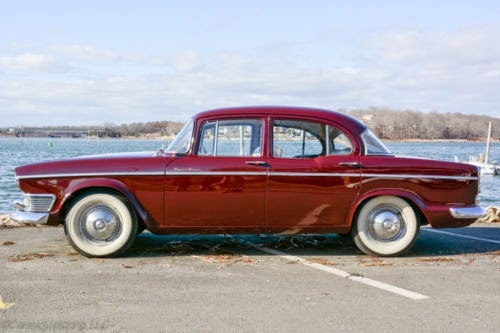 When it came to luxury, the Super Snipe could hold its own with just about any car on the market. Wood and leather were plentiful. A 3.0 liter I6 was standard. 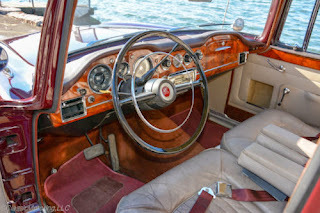 Air conditioning and an automatic transmission were available. This car has an interesting history. 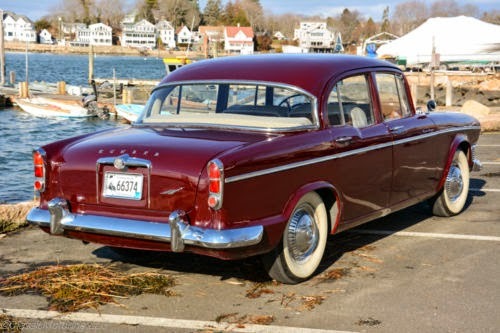 The seller writes, "This car was purchased new by a Manhattan woman in 1961 for use at her Vermont summer home, where it was chauffeur-driven throughout her ownership. The car remained in her possession until her death in the early 2000's. It was subsequently repainted in the original color and in 2006, was acquired by the third and current owner. It is lovingly maintained via her family's British car repair shop. 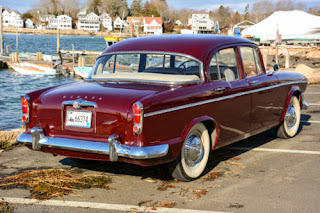 It has covered only 41,674 miles since new and has been displayed at the British Invasion in Stowe, VT on several occasions." I can't imagine that there are any other near-original, low mileage Humber Super Snipes in the US. 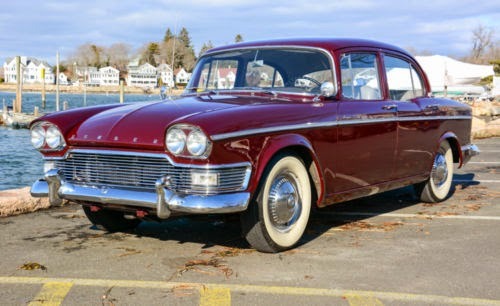 If you're looking for a rare, unusual classic British sedan, this car is worth checking out. 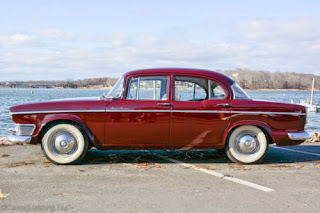 A chauffeur driven Humber Super Snipe, ferrying a wealthy Manhattan socialite through the byways of rural Vermont. Few scenarios are worthy of being a fine Hitchcock storyline on their own, and Grace Kelly would have been perfect for the role.